For more information or to schedule an appointment with our Emmaus chiropractor, call 610-967-4996 today! As board certified chiropractic neurologists, we have been providing advanced chiropractic techniques and rehabilitation services to patients in the Lehigh Valley for over 26 years. Our practice is headed by Kurt Schichtl, D.C., D.A.C.N.B. and Karen Carpenter, D.C., D.A.C.N.B. Our chiropractors and the rest of the friendly team at First Choice Chiropractic Neurology & Rehabilitation are dedicated to chiropractic solutions to target your unique needs, whether you are suffering from back pain, neck pain, headaches, or even just plain old muscular tightness and tension. 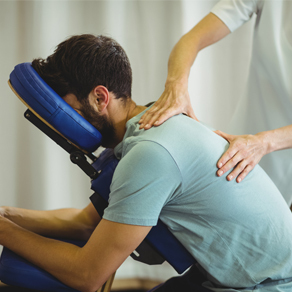 You may need pain relief after suffering an accident, experiencing an injury, or if you have a specific condition such as chronic back pain or a spinal condition; even if you just want to improve your overall health, our chiropractors can help you achieve your wellness goals! Please visit the testimonials page to see what our patients are saying about our Emmaus chiropractor and getting regular chiropractic treatments. At your first visit to First Choice Chiropractic Neurology & Rehabilitation, Dr. Kurt Schichtl will explain the science behind how chiropractic care works, and give you a full evaluation to see if chiropractic care is right for you. We can then develop a plan of chiropractic care that is specific to your condition and health goals. If you have not been to a chiropractor before and want to find out more, please email us at [email protected] or call 610-967-4996 to receive the answers to your questions from our experienced team. We also welcome referrals, so we invite you to share our chiropractic and wellness information with your friends and loved ones. Sign-up for our monthly newsletter by using the form or call us at 610-967-4996 to make an appointment today! Dr. Kurt Schichtl and Dr. Karen Carpenter are chiropractors who have been serving Emmaus and the surrounding communities in PA for the last 26 years! Originally from Clear Lake, Iowa, Dr. Schichtl has been serving patients in the Lehigh Valley for over 26 years. He is the co- founder with his wife Dr. Carpenter of First Choice Chiropractic Neurology & Rehabilitation in Emmaus, PA.
Shelley is a licensed massage therapist serving the Lehigh & Berks Counties for over 18 years. She graduated from the Pennsylvania Institute of Massage Therapy in Quakertown and is trained in Trigger point, Neuromuscluar, Swedish, Assisted Stretching and Deep Tissue massage techniques. Kathy is a licensed massage therapist who is passionate about helping patients. She is certified in manual lymphatic drainage massage ( Vodder Technique), Myofascial Release, Scar Tissue, Medical Massage, Oncology massage, Mastectomy Massage and other breast surgeries, Reiki Master, Reflexology, and Complete Decongestive Therapy. Heidi has been serving clients in the Lehigh Valley since 2007 when she graduated from Health Options Institute as a licensed massage therapist. Megan is responsible for all insurance and billing services in our office. She is happy to verify your benefits and provide you with a detailed easy to understand explanation of your insurance coverage. Bonnie is one of the voices you may encounter on the other end of our phone and a smiling face who will greet you and help make your visit in our office a memorable one. Malia is our warm friendly therapy assistant who is always happy to serve. Malia will take your vitals, help you with new patient paperwork and apply any needed therapy such as electric muscle stimulation, cold laser, decompression traction, ultrasound and hot/ cold therapies. April is one of our friendly front desk receptionists who will help you schedule appointments and order nutritional supplements . April is here to ensure all your questions have been answered and that you receive the best care possible. "I took both my boys to First Choice Chiropractic because they were getting constant ear infections. The Doctor saw them three times and the boys have not had an ear infection since." "When I first came here, I was suffering from lower back spasms which caused issues with my neurological responses. After a week of adjustments and muscle stimulation, I was able to get back and play football with no pain."